A researcher with IBM Research at Yorktown Heights, New York since 1961, he was a manager of Lithography Group with activities on packaging and circuit fabrication as well. He pioneered, together with other IBM researchers, the development of electron beam lithography, PMMA resist, and the "lift off" process. He received his B.S. and M.Sc. degrees in Electrical Engineering from New York University in 1964 and 1967, respectively. He holds 18 patents in the field of microfabrication and is author and co-author of many publications in the field. He was named an IBM fellow in 1988; the highest honor a scientist, engineer, or programmer at IBM can achieve. He is a member of US Academy of Engineering, of IEEE, Electrochemical Society, AVS, MRS, Eta Kappa Nu, and Tau Beta Pi. Since 1986 he has been the leader for the establishment and recognition of the Institute of Microelectronics at Demokritos, Greece. 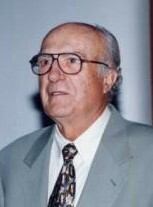 He continued his research in advanced lithography and new resists, and was honored in 2006 at the MNE conference in Barcelona, Spain as a distinguished expert in Micro and Nano Fabrication Technology.